You might already have the information that the English version of the new jailbreak released by Pangu team is now out for everyone. But you may not know that apart from Windows, it has also been available for Linux and Mac users, but follows a different method of jailbreak. 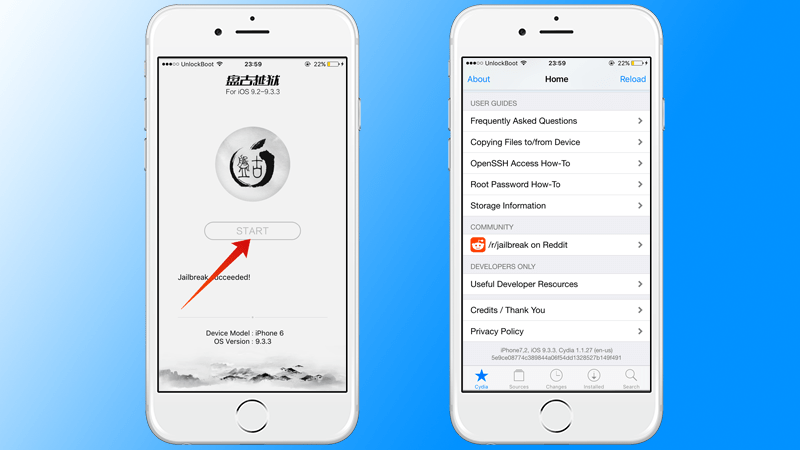 Rather than attempting the jailbreak from an interface on the desktop, users are being encouraged to utilize Cydia Impactor, a new tool by the popular Saurik that enables you to sign an IPA file from Pangu digitally. The file is directly installed on your iDevice to work through a sideload app to carry on the jailbreak. There are changes, of course. Let’s see what they are. Before jumping into the details, let us remind you that this is a semi-untether jailbreak, so the jailbreak has to be redone with the Pangu app after you reboot (not respring) your device. You don’t need a PC. 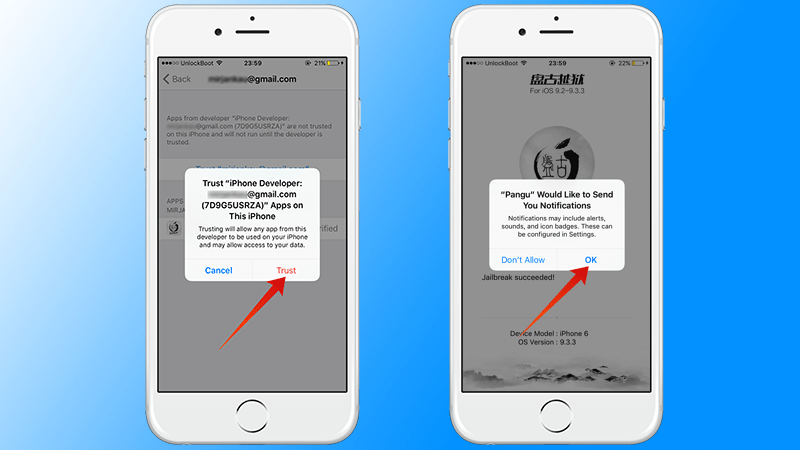 However, as mentioned by Pangu, for the sideloaded Pangu application “the certificate will expire in 7 days” if the user is signing in with the free Apple ID, which means the Pangu app needs to be re-sideloaded by using the Cydia Impactor to sign it again. 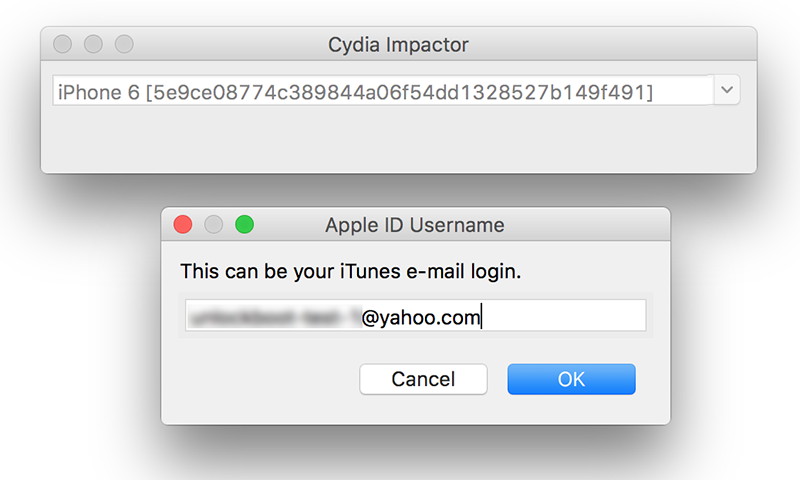 People using in their Apple Developer account ID will have a timespan for 1 year for the jailbreak after which the process needs to be redone via Cydia Impactor. However, there is no timeline (7 days or 1 year) for jailbreak tweaks; users need to only use the Cydia Impactor to re-sideload or resign the Pangu app. First backup the device via iCloud or iTunes. It should be a 64-bit one (iPhone 6s Plus, 6s, 6 Plus, 6, SE, 5S, iPad mini 4, 3, iPad Air 1, 2, iPod touch 6). The supported firmware is iOS 9.3.3-9.2. We recommend iOS 9.3.3 to you. 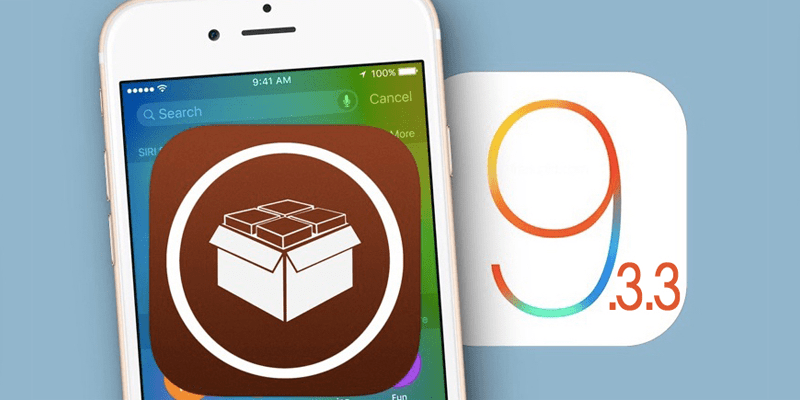 You should download Pangu iOS 9.3.3 Jailbreak for Mac, Linux and Windows (English). The file will be called (NvwaStone_1.0.ipa). You should also download Cydia Impactor utility by Saurik for Mac or Windows. Make sure your PC has the latest version of iTunes. Make sure you have a valid Apple ID or a Developer account. Step 1: Launch Cydia Impactor. Step 2: Connect the preferred iDevice to the PC. Step 3: After the Cydia Impactor interface appears, drag “NvwaStone_1.0ipa” into the interface, and make sure the app recognizes your device as the screenshot shows. Step 4: Click “OK” when shown “Apple Developer Warning”. Step 6: Enter Apple ID password and click “OK”. Step 7: An internal preparation will be done by Cydia Impactor and then sign the IPA file. If everything is okay, jailbreak app Pangu will be installed to the device, but don’t launch it yet. Step 8: On the iDevice, go to Settings – General – Device Management (if you’re on iOS 9.3.3) or to Settings – General – Profile (on iOS 9.3.2 and beneath). Tap the profile named Apple ID that you made before and make it a trusted developer. Step 9: Get out of Settings, and go to the Home screen and launch Pangu. Click “OK” when asked permission for notifications. Step 10: Tap “START” in Pangu to begin jailbreak, and lock the device by pressing “Power”. Step 11: After the jailbreak, the device resprings automatically. Then you can just open Cydia and start installing the apps you desire. Just remember that a rejailbreak needs to be done after rebooting the device every time.